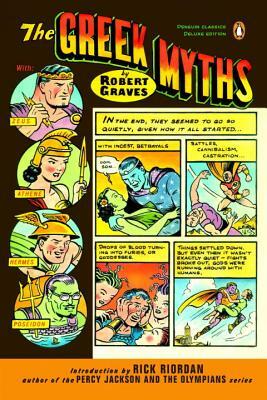 Robert Graves (1895–1985) is the author of the historical novel I, Claudius, the classic war memoir Goodbye to All That, and more than 140 other published works, including translations of Homer and Suetonius for Penguin Classics. Rick Riordan is the #1 New York Times bestselling author of the Percy Jackson and the Olympians series, the Kane Chronicles, and the Heroes of Olympus. More than twenty million copies of his books are in print. After teaching middle school English and history for fifteen years, he now writes full time in San Antonio, Texas, where he lives with his wife and two sons. Ross MacDonald is an illustrator, comic-book artist, and contributing editor of the Virginia Quarterly Review whose illustrations have appeared in The New Yorker, Vanity Fair, Newsweek, and Time, among other magazines. He lives in Connecticut.